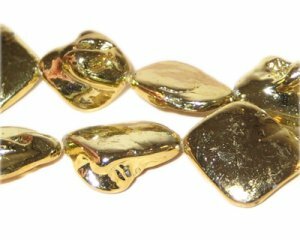 These are 14 - 21mm Gold Luster Irregular Diamond Shell Beads on a 10" string. My first order did a $100.00 order. Sure hope the quality is as good and great as every one saids it is ....have to just wait and see !